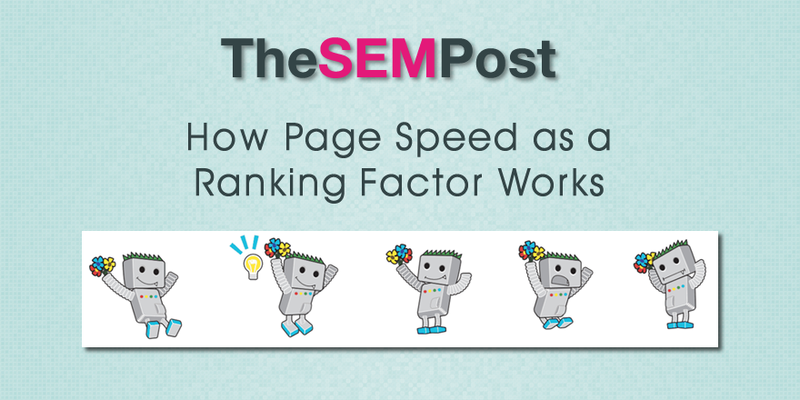 There is always this push by SEOs to get the highest possible page speed score to get the most benefit from the ranking boost related to speed. But webmasters might be looking at it the wrong way in how Google applies it – or not. The question was how big of a ranking factor page speed is, and part of John Mueller’s answer was that it seems to have a bigger impact on sites that aren’t fast, rather than sites getting teeny tiny boosts for every milisecond of speed a site owner can manage to increase a site by. So I guess there are two aspects here when you look at server speed. On the one hand there’s the kind of perceived speed in the browser, in the time it takes to render a page, and that is something that is definitely a ranking factor, it’s probably not the biggest ranking factor. And usually we try to differentiate between sites that are really slow, and sites that are kind of normal. So just optimizing on a millisecond basis is not going to affect anything in the search results. But obviously, the faster you make the site, the more people are going to stay on your site, the more they are going to do on your site, the more they tend to recommend it to other people, so indirectly it is a factor. The other part of server speed is more in regards to crawling, so how quickly we can crawl pages from your website, and that’s not directly a ranking factor, but it does affect how quickly we can pick up new and changed content on your site. So for example, if you are a news site and we can’t crawl the website quick enough, we might miss out on some of the news articles you put out, that could be something where you’d lose visibility compared to competitors who we can crawl a little bit faster. So that’s kind of something to keep in mind there. On the other hand, if this is a static site that is going to remain the same for maybe a couple of years, it’s more informational site where the content will remain the same, but even if we can’t crawl it that quickly, that’s not going to affect anything in search because we aren’t going to miss any of the things you put out there. So it seems like there might be a point where “optimizing on a millisecond basis is not going to affect anything in the search results,” despite many webmasters pushing for every extra point in the page speed tool. But as Mueller points out, those millisecond increases can benefit in other ways, just not necessarily in ranking per se.